Here are top things to see & do in Laos during your vacations. Try to do them all to experience a truly beautiful Laos. The charming city of Luang Prabang is the perfect place to see one of the most scared Lao traditions, the Buddhist alms giving ceremony. 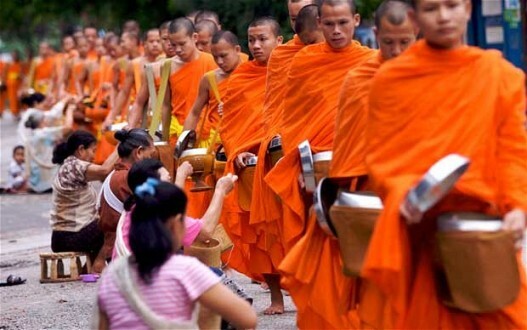 Otherwise known as “giving alms”, the ritual is practiced by monks living in Luang Prabang every morning at sunrise. Each morning, barefoot monks in their brightly colored robes walk down the streets to collect alms in the form of food offerings such as rice or fruits from locals and tourists waiting on bended knees. Laos was first called “The Land of a Million Elephants” in 1354 by King Fa Ngum who observed the numerous elephants he saw grazing in the fields around the capital. Nowadays, while the number of elephants has dramatically decreased in the country, they still hold a special place in the heart of the Laotian people, for the roles they played throughout history in war and domestic help. 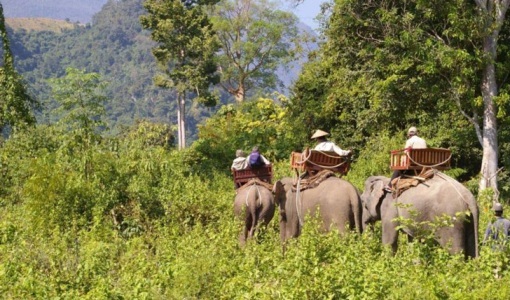 As elephant conservation is taking a more important part in Laotian culture, tourists can participate in this effort by visiting legitimate elephant villages and sanctuaries. Vang Vieng is surely one of the things to see in Laos. Vang Vieng is as famous for its stunning landscape of limestone mountains, lush rice paddies, and clear, emerald green rivers as it is for the wide range of activities available to those who love the outdoors. Vang Vieng offers a host of adventure activities such as kayaking, tubing, cycling, rock-climbing, trekking, and rafting, all in a beautiful setting of natural beauty. The Mekong River can bring to mind mysterious images of unexplored jungles, rugged mountains, and a raging, inaccessible river. 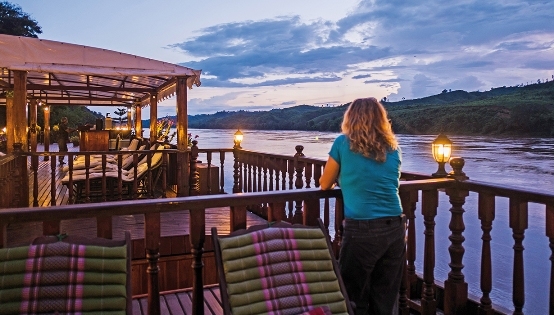 Indeed, the country of Laos is famous for its largely undeveloped landscape and a perfect way to see parts of this is by taking a cruise along the Mekong River. Besides the picturesque vistas, passengers will also be able to catch a glimpse of inhabitants living along the river and the lives that they lead. The Pak Ou Buddha caves are located 25 km north of Luang Prabang, at the meeting of the Mekong and Nam Ou River. The caves are very famous for acting as a resting place for Buddha statues that can no longer sit on an alter due to damage or retirement. Pak Ou caves contain two different caves to explore, the lower cave of Tham Ting and the upper cave of Tham Phuom. Locals usually visit this area only during the Lao New Year in order to bathe the abandoned Buddhas in an attempt to gain merit. Tourists going to the caves should remember to bring a flashlight, as the upper cave is quite dark. Most excursions to Pak Ou Caves will also pass by the small village of Ban Xang Hai, referred to by locals as the Whiskey Village. 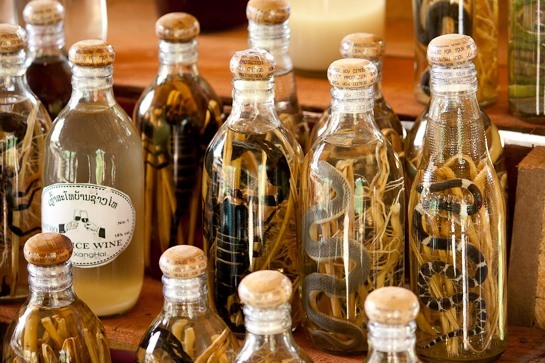 Here the inhabitants take part in the local industry of creating the famous lào-láo, a liquor made from fermented sticky rice. The village is well worth a visit to see the traditional way the whiskey is made, as well as to see locals in a natural setting. The village is full of smiling children who are very curious to see foreigners, and travelers are likely to gain a few friendly shadows as they make their way through the town. Laos is famous for its hundreds of dramatic, cascading waterfalls located throughout the country. While many of these waterfalls are located in the Bolaven Plateau in Southern Laos, it is still possible to see two of the most beautiful waterfalls in the country by visiting Luang Prabang. Kuang Si Falls are located 29 km south of Luang Prabang, and feature a multi-staged waterfall with multiple pools at different levels where visitors and locals alike can swim, relax, and bathe. The bright turquoise waters are so translucent it gives the entire area a fairy-tale aura. Tad Sae Waterfall is another spectacular natural sight to behold, located 18 km southeast from Luang Prabang. Although these waterfalls are not as high as the Kuangsi, there are many more streams of water which cascade down the limestone formations, making it an especially powerful sight to behold during the rainy season. Although Laos is indeed a landlocked country with no ocean borders, it is still home to an archipelago of islands in the Mekong River known as Si Phan Don, or the 4000 islands. This is the region where the rare Irawaddy Dolphins can still be spotted if luck is on your side. Many scenic tours are also available for tourists to take during the day, whether it is for visiting pristine sandy beaches, kayaking or tubing. If relaxation is more your thing, there are no shortages of hammocks and beer in the area, allowing you an excellent way to check out those magnificent Mekong sunsets.